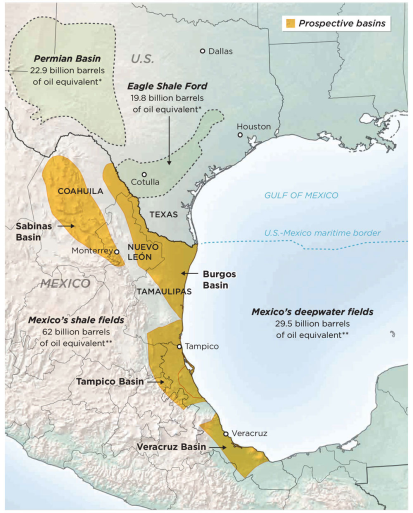 July 2015 marked an important milestone for Mexico’s economy as it was the first time the country would let private investors bid on oil, natural gas, shale, deep/shallow-water, and other possible energy reserves. For over 50 years state-owned oil company Petróleos Mexicanos (Pemex) has had monopoly over the country’s natural resources. Although the state will be giving up some control over the industry, this doesn’t mean that Pemex will no longer dominate the market. In total, it’s over 100 billion barrels of oil and natural gas that are estimated to be sleeping under America’s southern neighbor barren grounds. The first bid did not go as well as the Mexican government had hoped: success rate was of 14 percent instead of the 30-50 percent it aimed at to consider the event a success. If you’d like to read more about the first auction, here is an interesting Bloomberg article. The Mexican energy reform was undertaken by President Enrique Peña Nieto for various reasons, one of the principal being Pemex’s struggle to keep pace with the technological revolution the industry has undergone over the past 10 years. The exploitation of fracking wells represents a great challenge as Mexico’s infrastructures are under developed in the area that’s open to investors: there are no roads, no pipelines and no processing plants. Plus, new hydraulic and deepwater drilling technologies that have emerged in America granting access to new deposits haven’t made it across the border yet. Texans have the technologies required to develop this market, but are they ready for the additional challenges that are awaiting them? Aside from Mexico’s lack of up-to-date infrastructures, investors will have to bear in mind the many challenges they’ll be facing as they begin operations. Fracking requires a lot of water, but potential shale gas reserves are located in northeastern provinces of Nuevo León, Tamaulipas and Coahuila, which are all poor in water supplies, Coahuila being the country’s second driest state. Farmers are already using three quarters of water that’s currently available, leaving little to nothing for different purposes and thus limiting the ability to develop long-term fracking. So with very limited access to water, security issues linked to drug cartels, little to no infrastructures, are there any advantages or solutions for private companies if they want to succeed in exploiting Mexican natural resources?Another critical factor specific to the area is the presence of drug cartels. The Mexican government claims the region is safe, but reality seems to differ as various incidents have been taking place. Mexican authorities hope that bringing such projects to the area will improve its security by providing jobs for people who could otherwise possibly be working for the cartels. Although it will be no walk in the park – especially at the beginning, companies will be able to experience ROI on their investment if they work smart. Working smart especially applies for the fracking-related activities as they’ll come with the same kind of controversy they have in other countries. Companies will have to ensure social and environmental baselines and impact assessments are done properly. Operating in an industry and a country that’s been shut from private companies will also require collaboration with local partners who understand Mexico’s reality. And these partners’ political clout will be key to any investment project. Local communities will also have their demands, one of the obvious one being jobs. This is a good thing because the Mexican energy reform could have the potential to reduce criminal activities, an idea many government representatives cherish. Shale gas projects always come with resistance from communities. The resources might be there, but if the communities refuse to grant access to land or if projects don’t get social acceptance, their feasibility is at risk. 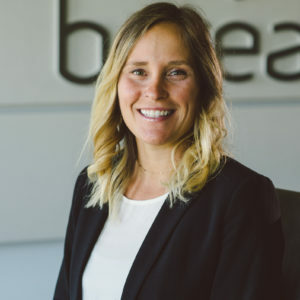 Social acceptance of oil and gas projects can be exhausting for companies that are not well equipped and that do not have experience in dealing with activities close to communities. We’ve worked with Light Natural Gas (LNG) projects in Australia and Asia that faced the same kind of risks fracking projects will on Mexican grounds, with similar issues and concerns from the population. Some of these projects were even carried out by the biggest Houston-based companies. 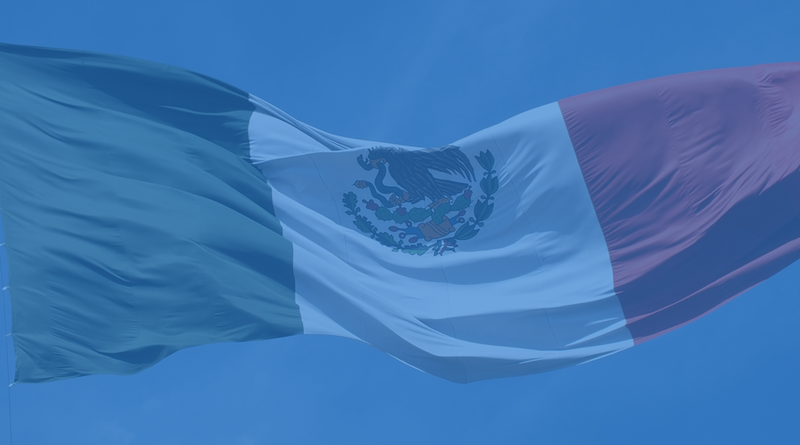 This is why we’ve decided to extend our presence in Houston: we believe the experience we acquired over the past 10 years can greatly benefit oil and gas projects both in Mexico and in the United States.